PS&D's Viper is the first FDA compliant, safe, accurate, automated, and self-contained e-Liquid compounding system for the e-liquid vaping industry. The production system is integrated with a flexible batch management system that provides a platform for automatic control and electronic record-keeping to comply with FDA regulations 21 CFR 210, 211, and 11. Proven products from Rockwell Automation provides the core of control and information management system. It provides the authorized operator with a secure tool for designing flexible recipes that combine operator-entered and automatic data collection into a single work flow. In-process weights are collected automatically and used to manage the flow of ingredients and finished products between storage and blending vessels. System components, including motors and automatic valves are sequenced according to the recipes’ logic. Data are stored in a relational database management system for long-term storage and reporting. PS&D supports the information technologies associated with the recipe management and data collection processes through secure cloud-based computing and network communications platforms. 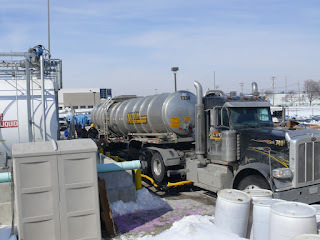 For more information, visit http://www.processsystemsdesign.com/e-liquid or call (410) 861-6437. Biomass resources run the gamut from corn kernels to corn stalks, from soybean and canola oils to animal fats, from prairie grasses to hardwoods, and even include algae. In the long run, we will need diverse technologies to make use of these different energy sources. Some technologies are already developed; others will be. 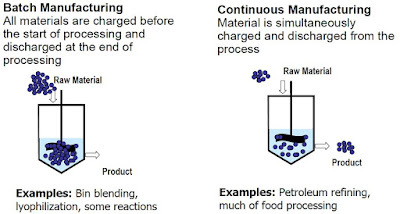 Today, the most common technologies involve biochemical, chemical, and thermochemical conversion processes. Ethanol, today’s largest volume biofuel, is produced through a biochemical conversion process. In this process, yeasts ferment sugar from starch and sugar crops into ethanol. Most of today’s ethanol is produced from cornstarch or sugarcane. But biochemical conversion techniques can also make use of more abundant “cellulosic” biomass sources such as grasses, trees, and agricultural residues. Researchers develop processes that use heat, pressure, chemicals, and enzymes to unlock the sugars in cellulosic biomass. The sugars are then fermented to ethanol, typically by using genetically engineered micro- organisms. Cellulosic ethanol is the leading candidate for replacing a large portion of U.S. petroleum use. 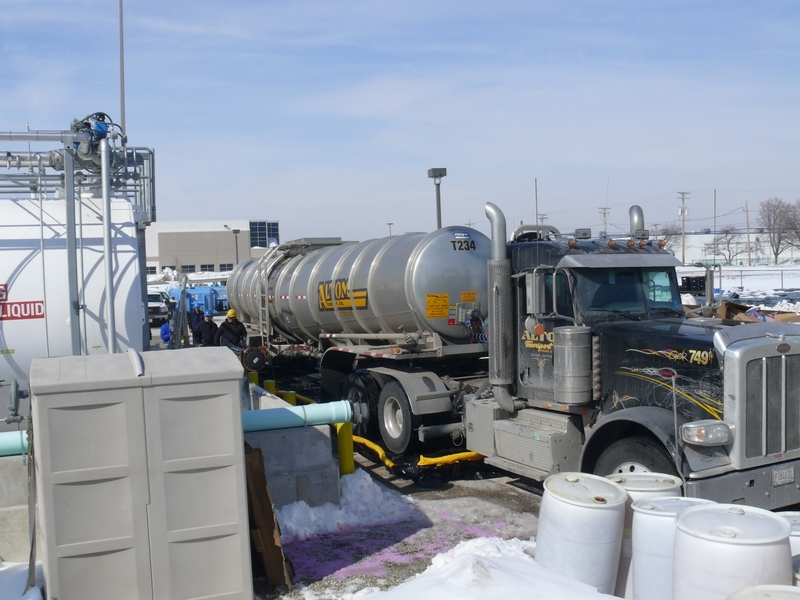 A much simpler chemical process is used to produce biodiesel. Today’s biodiesel facilities start with vegetable oils, seed oils, or animal fats and react them with methanol or ethanol in the presence of a catalyst. In addition, genetic engineering work has produced algae with a high lipid content that can be used as another source of biodiesel. Researchers also explore and develop thermochemical processes for converting biomass to liquid fuels. One such process is pyrolysis, which decomposes biomass by heating it in the absence of air. This produces an oil-like liquid that can be burned like fuel oil or re ned into chemicals and fuels, such as “green gasoline.” Thermochemical processes can also be used to pretreat biomass for conversion to biofuels. Another thermochemical process is gasification. In this process, heat and a limited amount of oxygen are used to convert biomass into a hot synthesis gas. This “syngas” can be combusted and used to produce electricity in a gas turbine or converted to hydrocarbons, alcohols, ethers, or chemical products. In this process, biomass gasifiers can work side by side with fossil fuel gasifiers for greater flexibility and lower net greenhouse gas emissions. In the future, biomass-derived components such as carbohydrates, lignins, and triglycerides might also be converted to hydrocarbon fuels. Such fuels can be used in heavy-duty vehicles, jet engines, and other applications that need fuels with higher energy densities than those of ethanol or biodiesel. Not much has changed in pharmaceutical manufacturing over the last 50 years. While technological advancements in creating new drugs have been made, the pharmaceutical industry still relies heavenly on traditional step-by-step batch processing. Alternatively, continuous manufacturing, which is the preferred manufacturing process in automotive, food & beverage, and refining industries – has been slow to gain acceptance in pharmaceutical production, largely because of high startup costs. Materials are added during processing and discharged at the end of processing. 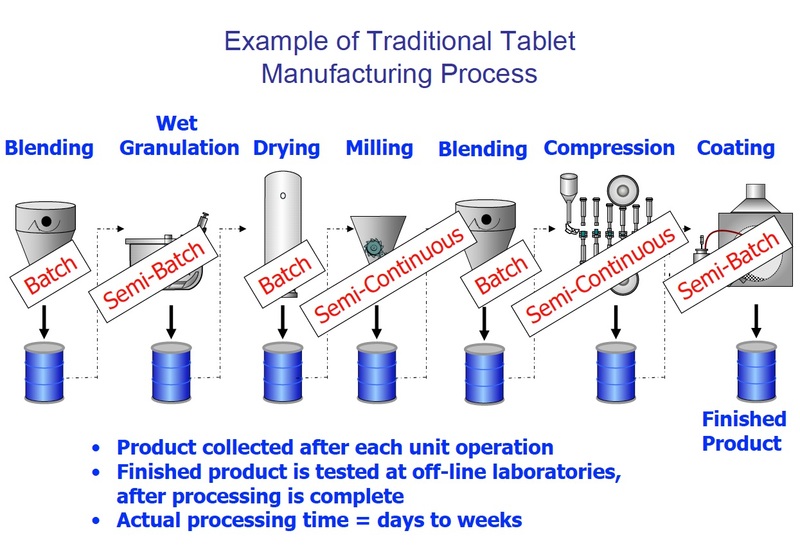 Like continuous manufacturing, but for a discrete time period. 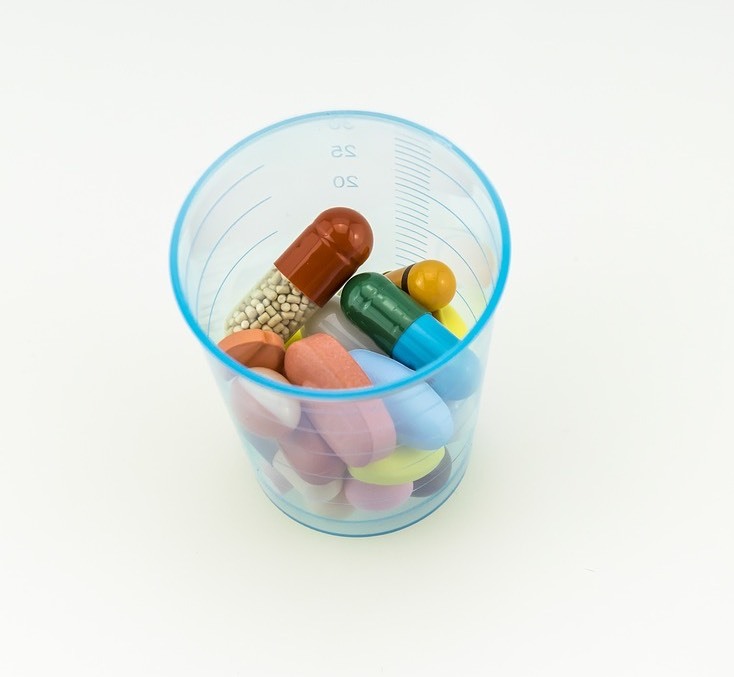 Although reliable, batch processing is viewed a slower manufacturing method for pharmaceuticals, and also less safe because of higher risk for contamination and errors between steps. Pharmaceutical manufacturers have no choice but to continually evaluate and implement the best possible production processes. Considering an estimated $50 billion per year is wasted on on inefficient processes in the pharmaceutical industry, it makes great sense to migrate toward continuous manufacturing. 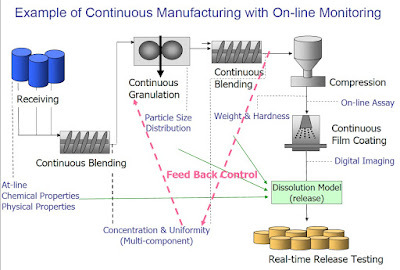 Continuous manufacturing is faster, more efficient, and inherently safer. Improved safety is derived from rigid quality control requirements in continuous manufacturing. Considering this, the concern over large plant and equipment outlays looses is impact. Many experts maintain that continuous manufacturing is ultimately a far less costly production process (considering efficiency and safety), once the initial plant, equipment, and training costs are amortized. Portland cement is a fine powder, gray or white in color, that consists of a mixture of hydraulic cement materials comprising primarily calcium silicates. More than 30 raw materials are known to be used in the manufacture of portland cement, and these materials can be divided into four distinct categories: calcareous, siliceous, argillaceous, and ferrifrous. These materials are chemically combined via pyroprocessing and subjected to subsequent mechanical processing operations to form gray and white portland cement. Gray portland cement is used for structural applications and is the more common type of cement produced. White portland cement has lower iron and manganese contents than gray portland cement and is used primarily for decorative purposes. Portland cement, which consists of a mixture of the hydraulic cement minerals, calcium silicates, aluminates and aluminoferrites, and calcium sulfates, accounts for 95 percent of the hydraulic cement production in the United States. The balance of domestic cement production comprises primarily masonry cement. Both of these materials are produced in portland cement manufacturing plants. Typically, these raw materials are obtained from open-face quarries, but underground mines or dredging operations are also used. Raw materials vary from facility to facility. The materials found in some quarries that supply raw materials for portland cement have a high degree of calcinated limestone, whereas the material from other limestone quarries must be blended with "cleaner" limestone to produce an acceptable product. In addition, pockets of pyrite, which significantly increase emissions of sulfur dioxide (SO2), can be found in deposits of limestone, clays, and shales used as raw materials for portland cement. Because a large fraction (approximately one third) of the mass of this primary material is converted to carbon dioxide (CO2) in the kiln, portland cement plants are located in close proximity to a raw material source whenever possible. Other metallic elements included in the raw feed mix are silicon, aluminum, and iron. These materials are obtained from ores and minerals such as sand, shale, clay, and iron ore. Again, these materials are most commonly extracted via open-pit quarries or mines, but they may be dredged or excavated from underwater deposits. Either gypsum or natural anhydrite, both of which are forms of calcium sulfate, is introduced to the process during the finish grinding operations described below. These materials are also excavated from quarries or mines. However, they are generally purchased from an external source, rather than obtained directly from a captive operation by the cement plant. In addition, the portland cement manufacturing industry is relying increasingly on replacing virgin materials as described above with waste materials or byproducts from other manufacturing operations, to the extent that such replacement can be implemented without adversely affecting plant operations or product quality. Materials that have been used include fly ash, mill scale, and metal smelting slags. The second step in portland cement manufacture is preparing the raw mix or kiln feed for the pyroprocessing operation. Raw material preparation includes a variety of blending and sizing operations that are designed to provide a feed with appropriate chemical and physical properties. 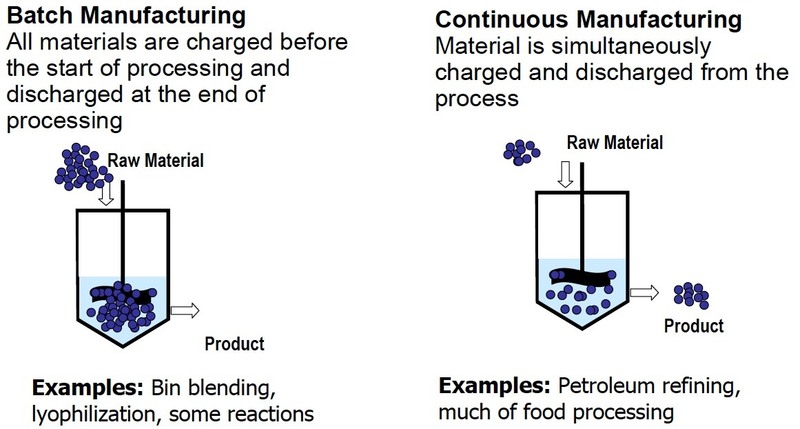 The raw material processing operations differ somewhat for wet and dry processes, as described in the paragraphs below. Cement raw materials are received with an initial moisture content varying from 1 to more than 50 percent. If the facility uses dry process kilns, this moisture is usually reduced to less than 1 percent before or during grinding. Drying alone can be accomplished in impact dryers, drum dryers, paddle- equipped rapid dryers, air separators, or autogenous mills. However, drying can also be accomplished during grinding in ball-and-tube mills or roller mills. While thermal energy for drying can be supplied by exhaust gases from separate, direct-fired coal, oil, or gas burners, the most efficient and widely used source of heat for drying is the hot exit gases from the pyroprocessing system. Materials transport associated with raw milling systems can be accomplished by a variety of mechanisms, including screw conveyors, belt conveyors, drag conveyors, bucket elevators, air slide conveyors, and pneumatic conveying systems. The dry raw mix is pneumatically blended and stored in specially constructed silos until it is fed to the pyroprocessing system. In the wet process, water is added to the raw mill during the grinding of the raw materials in ball or tube mills, thereby producing a pumpable slip or slurry of approximately 65 percent solids. The slurry is agitated, blended, and stored in various kinds and sizes of cylindrical tanks or slurry basins until it is fed to the pyroprocessing system. Reaction of excess CaO with dicalcium silicate to form tricalcium silicate. This sequence of events may be conveniently divided into four stages, as a function of location and temperature of the materials in the rotary kiln. Reaction of the oxides in the burning zone of the rotary kiln to form cement clinker at temperatures of approximately 1510 deg. C (2750 deg. F). Rotary kilns are long, cylindrical, slightly inclined furnaces that are lined with refractory to protect the steel shell and retain heat within the kiln. The raw material mix enters the kiln at the elevated end, and the combustion fuels generally are introduced into the lower end of the kiln in a countercurrent manner. The materials are continuously and slowly moved to the lower end by rotation of the kiln. As they move down the kiln, the raw materials are changed to cementitious metal oxides by the direct heat exchange. The most commonly used kiln fuels are coal, natural gas, and occasionally oil. Many cement plants currently burn coal, but use of supplemental fuels such as waste solvents, scrap rubber, and petroleum coke has expanded in recent years. Five different processes are used in the portland cement industry to accomplish the pyroprocessing step: the wet process, the dry process (long dry process), the semidry process, the dry process with a preheater, and the dry process with a preheater/precalciner. Each of these processes accomplishes the physical/chemical steps defined above. However, the processes vary with respect to equipment design, method of operation, and fuel consumption. Generally, fuel consumption decreases in the order of the processes listed above. The paragraphs below briefly describe the process, starting with the wet process and then noting differences in the other processes. In the wet process and long dry process, all of the pyroprocessing activity occurs in the rotary kiln. Depending on the process type, kilns have length-to-diameter ratios in the range of 15:1 to 40:1. While some wet process kilns may be as long as 210 m (700 ft), many wet process kilns and all dry process kilns are shorter. Wet process and long dry process pyroprocessing systems consist solely of the simple rotary kiln. Usually, a system of chains is provided at the feed end of the kiln in the drying or preheat zones to improve heat transfer from the hot gases to the solid materials. As the kiln rotates, the chains are raised and exposed to the hot gases. Further kiln rotation causes the hot chains to fall into the cooler materials at the bottom of the kiln, thereby transferring the heat to the load. Dry process pyroprocessing systems have been improved in thermal efficiency and productive capacity through the addition of one or more cyclone-type preheater vessels in the gas stream after the rotary kiln. This system is called the preheater process. The vessels are arranged vertically, in series, and are supported by a structure known as the preheater tower. Hot exhaust gases from the rotary kiln pass countercurrently through the downward-moving raw materials in the preheater vessels. Compared with the simple rotary kiln, the heat transfer rate is significantly increased, the degree of heat utilization is more complete, and the process time is markedly reduced owing to the intimate contact of the solid particles with the hot gases. The improved heat transfer allows the length of the rotary kiln to be reduced. The hot gases from the preheater tower are often used as a source of heat for drying raw materials in the raw mill. Because the catch from the mechanical collectors, fabric filters, and/or electrostatic precipitators (ESP's) that follow the raw mill is returned to the process, these devices are considered to be production machines as well as pollution control devices. Additional thermal efficiencies and productivity gains have been achieved by diverting some fuel to a calciner vessel at the base of the preheater tower. This system is called the preheater/precalciner process. While a substantial amount of fuel is used in the precalciner, at least 40 percent of the thermal energy is required in the rotary kiln. The amount of fuel that is introduced to the calciner is determined by the availability and source of the oxygen for combustion in the calciner. Calciner systems sometimes use lower-quality fuels (e.g., less-volatile matter) as a means of improving process economics. Preheater and precalciner kiln systems often have a bypass system between the feed end of the rotary kiln and the preheater tower to remove the undesirable volatile constituents. Otherwise, the volatile constituents condense in the preheater tower and subsequently recirculate to the kiln. Buildup of these condensed materials can restrict process and gas flows. In a bypass system, a portion of the kiln exit gas stream is withdrawn and quickly cooled by air or water to condense the volatile constituents to fine particles. The solid particles, which are removed from the gas stream by fabric filters and ESP's, are then returned to the process. 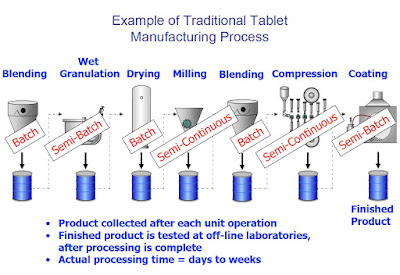 The semidry process is a variation of the dry process. In the semidry process, the water is added to the dry raw mix in a pelletizer to form moist nodules or pellets. The pellets then are conveyed on a moving grate preheater before being fed to the rotary kiln. The pellets are dried and partially calcined on the moving grate through which hot kiln exhaust gases pass. Regardless of the type of pyroprocess used, the last component of the pyroprocessing system is the clinker cooler. This process step recoups up to 30 percent of the heat input to the kiln system, locks in desirable product qualities by freezing mineralogy, and makes it possible to handle the cooled clinker with conventional conveying equipment. The more common types of clinker coolers are (1) reciprocating grate, (2) planetary, and (3) rotary. In these coolers, the clinker is cooled from about 1100 deg. C to 93 deg. C (2000 deg. F to 200 deg. F) by ambient air that passes through the clinker and into the rotary kiln for use as combustion air. However, in the reciprocating grate cooler, lower clinker discharge temperatures are achieved by passing an additional quantity of air through the clinker. Because this additional air cannot be utilized in the kiln for efficient combustion, it is vented to the atmosphere, used for drying coal or raw materials, or used as a combustion air source for the precalciner. The final step in portland cement manufacturing involves a sequence of blending and grinding operations that transforms clinker to finished portland cement. Up to 5 percent gypsum or natural anhydrite is added to the clinker during grinding to control the cement setting time, and other specialty chemicals are added as needed to impart specific product properties. This finish milling is accomplished almost exclusively in ball or tube mills. Typically, finishing is conducted in a closed- circuit system with product sizing via air separation. Process Systems & Design are dry bulk material handling experts and can assist you in any sand, gravel, cement, or concrete handling requirement. Contact them at (410) 861-6437 or visit their website at http://www.processsystemsdesign.com.